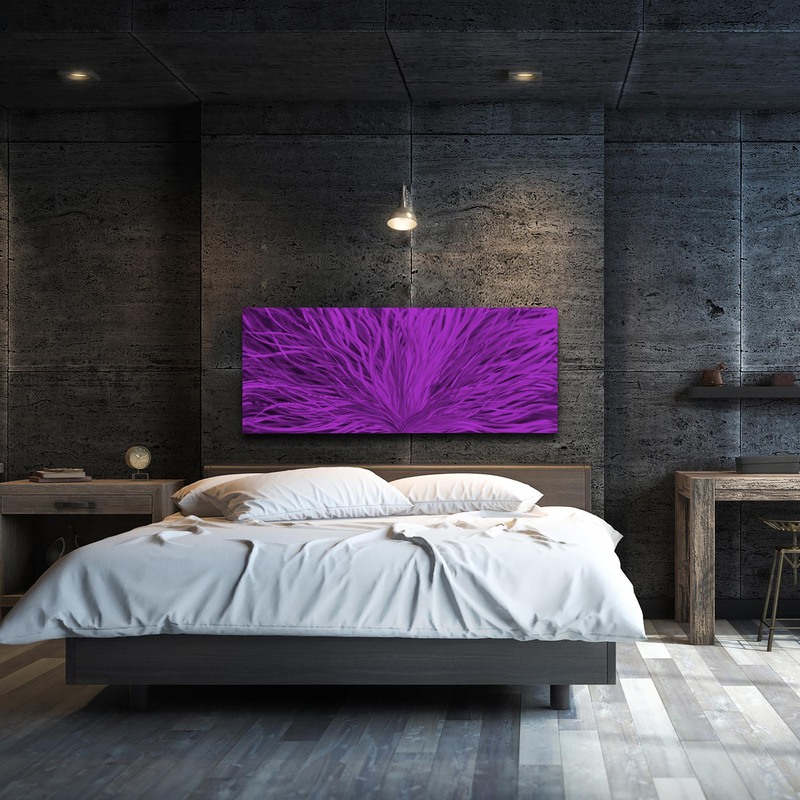 Blooming Purple is a striking handmade masterpiece crafted by Helena Martin in Cincinnati, Ohio, USA, and backed with a certificate of authenticity. The pattern you see is essentially scratched into the surface of the metal with masterful control of artistic grinding techniques. The metal artwork is then painted with semi-transparent acrylic paints, which allows ambient light to pass through and create an almost holographic effect as it reflects off the grooves of the grind pattern. This remarkably technical composition is referred to as an original multiple, as the hand-crafted design is very closely replicable by the artist, but with enough natural, subtle variations to make it truly unique. 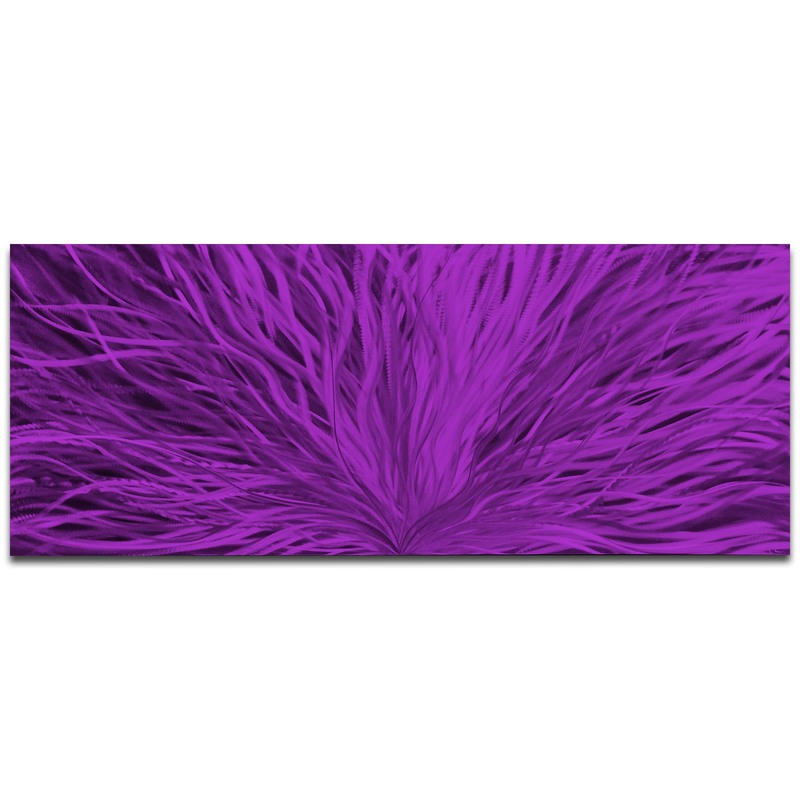 This original abstract art features something of a floral scene, behind semi-transparent hues of purple, violet, royal, metallic, etc. with an attractive high gloss finish. The aluminum is rather lightweight so the artwork easy to hang from the metal sawtooth brackets on back, and is even suitable for indoor/outdoor placement due to the weather and fade resistant finishes. 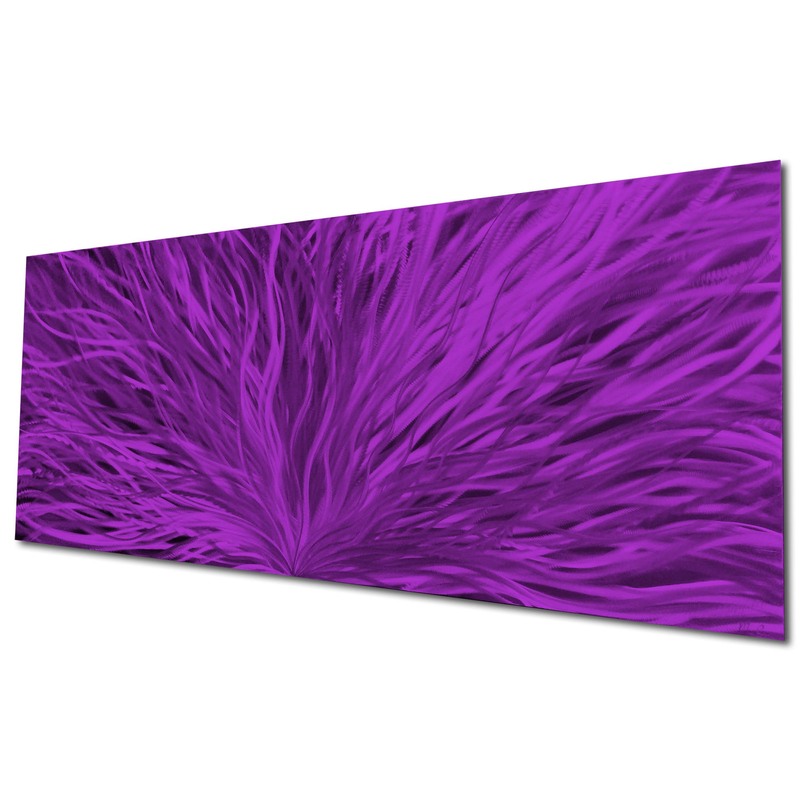 This stunning wall art is an instant conversation piece and crowd pleaser in any contemporary setting.